About BatPower 61W PD USB-C Charger Power Adapter for 2016 2017 Apple New Macbook Pro USB C Laptops Compatibility. PD USB-C Port Charging for 2016 2017 to current MacBook Pro 13-inch and Mac laptop models (Connector Type C): Charging for 2016 2017 MacBook Pro 13" Touch Bar Two and Four Thunderbolt 3 ports laptop notebook, Replace for Apple 61W MNF72LL/A A1706 Power Ac Adapter (Connector USB C Type C) Charging for 2015 to Current MacBook 12" laptop notebook, Replace for Apple 29W MJ262LL/A Charger Power Ac Adapter (Connector USB C Type C) About BatPower Quality We use only premium materials and cutting-edge technology, to ensure complete safety. PD Technology Faster and safer charging with our BatPower leading PD Type C technology. Certifications All products have passed CE FCC and ROHS certifications World Warranty At BatPower, we believe in our products, all products keep 18-month warranty, easy-to-reach support. About BatPower 87W PD USB-C Charger Power Adapter for 2016 2017 Apple New Macbook Pro USB C Laptops Compatibility. 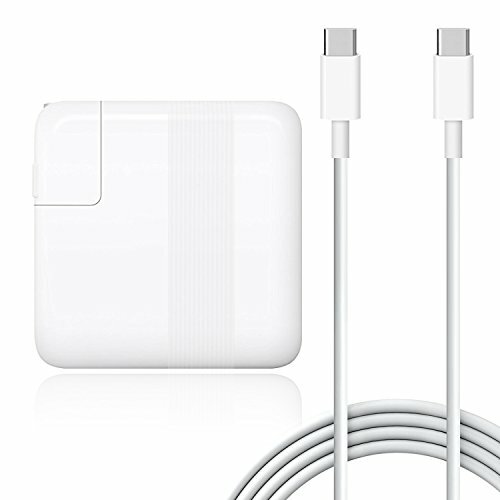 PD USB-C Port Charging for 2016 2017 to current MacBook Pro 15 and 13-inch and Mac laptop models (Connector Type C): Charging for 2016 2017 MacBook Pro 15" 13" Touch Bar Two and Four Thunderbolt 3 ports laptop notebook, Replace for Apple 87W MNF82LL/A A1708 and 61W MNF72LL/A A1706 Power Ac Adapter (Connector USB C Type C) Charging for 2015 to Current MacBook 12" laptop notebook, Replace for Apple 29W MJ262LL/A Charger Power Ac Adapter (Connector USB C Type C) About BatPower Quality We use only premium materials and cutting-edge technology, to ensure complete safety. PD Technology Faster and safer charging with our BatPower leading PD Type C technology. Certifications All products have passed CE FCC and ROHS certifications World Warranty At BatPower, we believe in our products, all products keep 18-month warranty, easy-to-reach support. 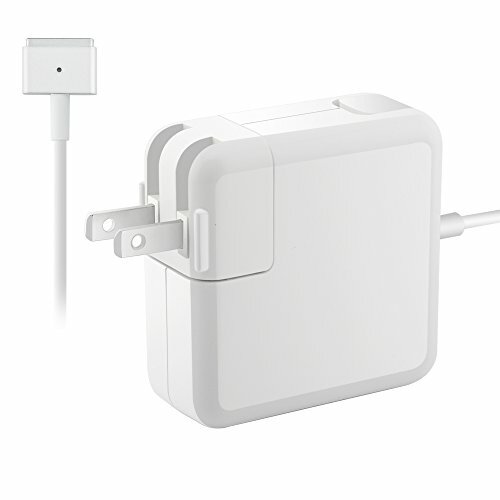 60W Power Adapters for Mac Notebooks (L Connector) Pls use the appropriate wattage power adapter for your Mac notebook, cause lower wattage adapters don't provide enough power. 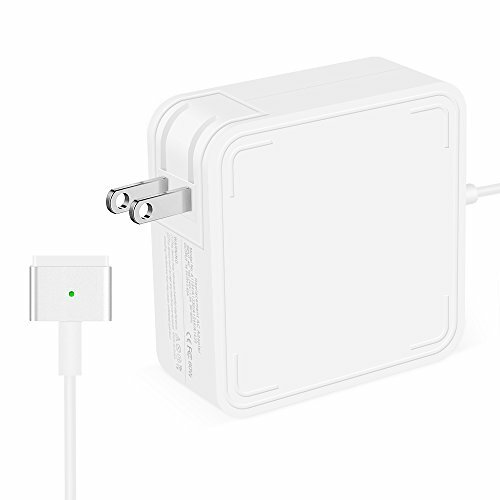 Compatible models for this 60W Charger: MacBook Pro (13-inch, Mid 2012) MacBook Pro (13-inch, Late 2011) MacBook Pro (13-inch, Early 2011) MacBook Pro (13-inch, Mid 2010) MacBook (13-inch, Mid 2010) MacBook (13-inch, Late 2009) Specifications: Input: 100 - 240V, 50-60Hz Output: 16.5V-3.65A / 60W Power Cable Length:5.9Ft Metal:Anti-flammable Warm Reminder:This replacement charger adapter for Mac notebook is backed by 30-day money back & 12-month warranty, should there be any questions when you get the package, pls contact us freely for assistance. 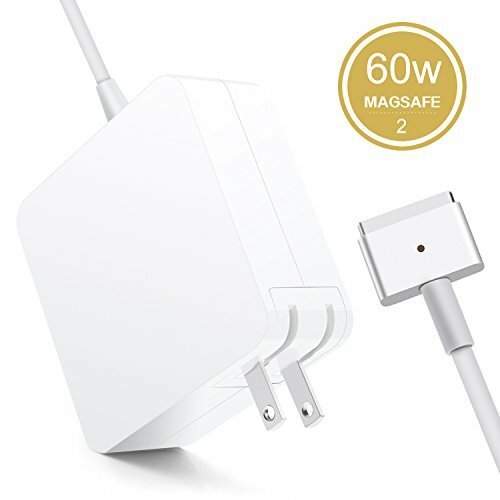 Color:60W Halcent Replacement 60W M2 T-Tip Power Adapter-For MacBook Pro Specifications: Input:100 - 240V 50-60Hz Output:19.5V 3.33A Power:60W Interface: Magsafe 2 T Shape Connector Compatible with MacBook PRO 13-inch with Retina display: MacBook Pro (Retina, 13-inch, Late 2012)MD212、MD213 MacBook Pro (Retina, 13-inch, Early 2013) MD212、ME662 MacBook Pro (Retina, 13-inch, Late 2013) ME864、ME865、ME866 MacBook Pro (Retina, 13-inch, Mid 2014) MGX72、MGX82、MGX92 MacBook Pro (Retina, 13-inch, Early 2015) MF839、MF840、MF841、MF843 Package includes: 1 x Halcent 60W M2 Power Adapter. 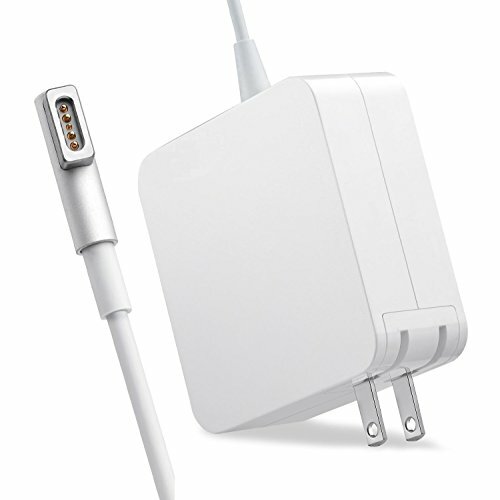 Note: Halcent provide our fan-favorite one years warranty to this MacBook Pro Charger. 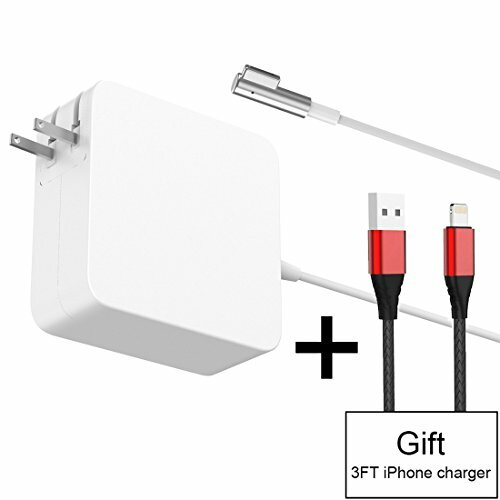 If you cannot confirm whether this charger suits for your MacBook or not, please feel free to contact with us for help. Thank you! 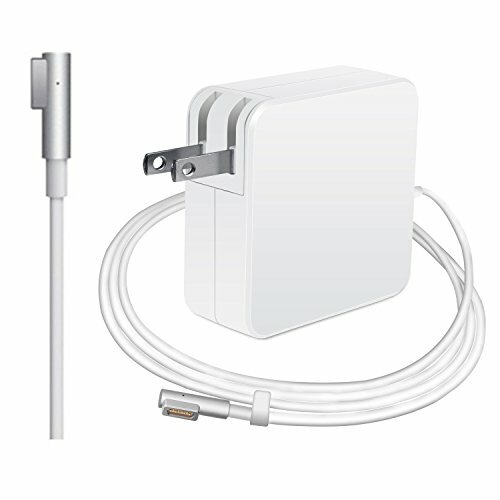 Havinga dependable MagSafe adapter is crucial for the best performance and long life of your MacBook. Do not settle with less than the best in your search for thereplacement charger. Did your original Apple charger break down much faster than expected? Is the poorperformance of the cheap replacement adapters letting you down? 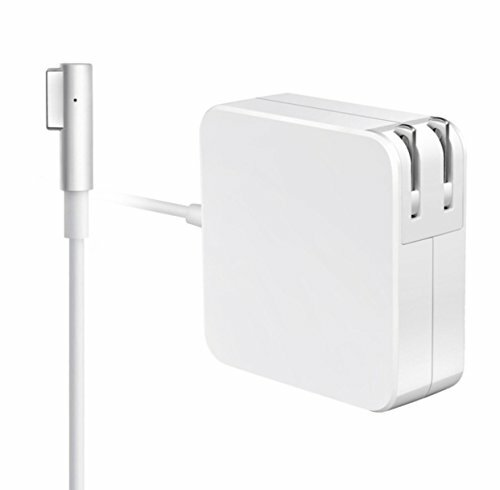 You can restassured with our MagSafe charger, which promises a lasting and robust performance you deserve. 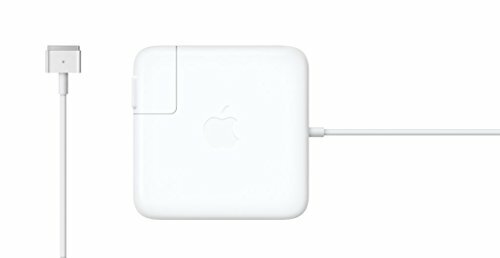 Our MacBook Air charger has a powerful magnetic connector as well as a durable cord that will stay intact and safe from fraying even after going through numerous bends and charges. CAUTION: Please make sure to check whether your Mac model is included in the list above. Before purchasing the charger, please make sure it is compatible with your MacBook. 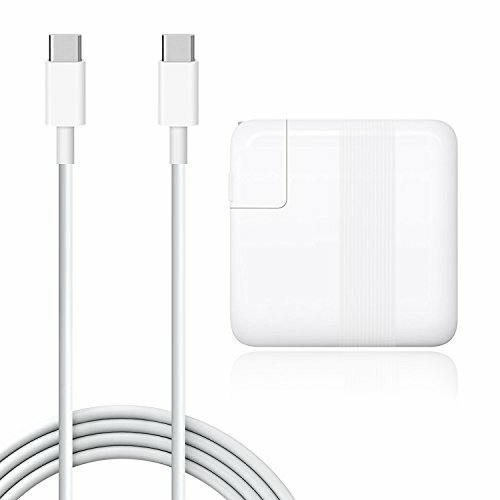 Compare prices on Mac Charger 13 Inch Macbook Pro at ShoppinGent.com – use promo codes and coupons for best offers and deals. Start smart buying with ShoppinGent.com right now and choose your golden price on every purchase.